A Shropshire company is celebrating this week, as their application for funding for a local arts and community centre has been successful. Henshalls Insurance Brokers based in Newport applied to the 2018 Aviva Community Fund to enable The Wellington Orbit (which is a community benefit society) to be disability friendly, with an allocated grant of £1,000. The Aviva Community Awards are based on a voting system, the more votes a project receives the better the chances of winning the award. After voting closes, the 400 projects with the most votes across the 3 stipulated categories will receive the funding they applied for. Sophie Eades, Chief Officer of the Wellington Orbit said: “Huge thanks and appreciation to Mark and the team at Henshalls Insurance Brokers for applying and winning the funding for us. 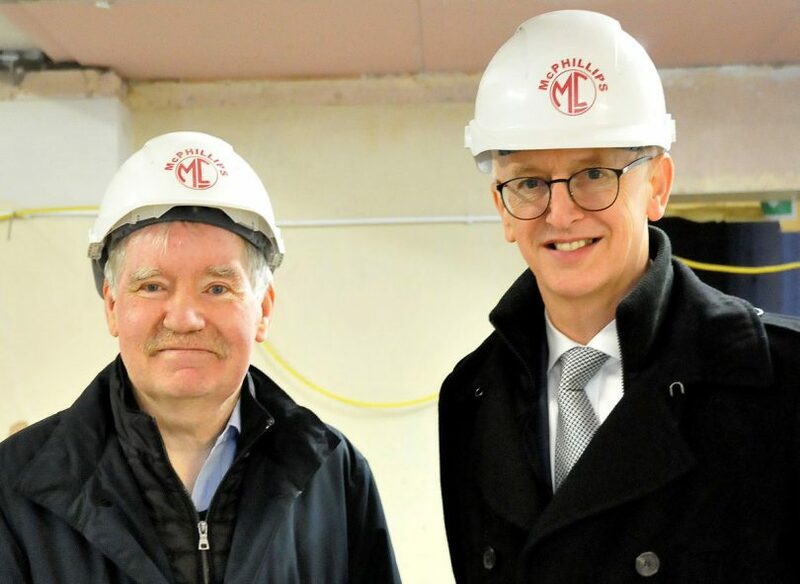 Equipping any building from scratch is a huge financial task, but Henshalls have enabled us to purchase essential equipment to ensure we are disability friendly. The Wellington Orbit has taken on the lease of the old HSBC building in Wellington and is currently refurbishing the ground floor, phase one of the 6,500 feet space available.